I like video games. I especially like roleplaying games that let you decide how to play the game. 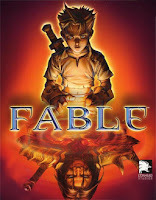 Games like Fable and Dragon Age are fun because you choose who your character turns out to be by the end of the game. Almost always in these games I choose the light side. I wear a halo in Fable, everyone in Dragon Age loves me. I never kill innocents. I don't steal from good guys. I only kick an occasional chicken. In other words, I'm almost as saintly as I am in real life. Every once in a while, however, I just have to be bad. Since I'm not fond of jail and I don't have any chickens handy, I usually pull out a game that lets me get as mean as I want to be. One of my favorites is Age of Empires III. In it you play the part of a European settler, conquering the new world via colonization. If you play by the rules, it's a complex game of time and resource management that is both engrossing and instructive. It's a little like Civilization, only less time-consuming and quicker paced. If you don't play by the rules, and you find the cheat codes, you can summon giant, red trucks that run over everything in their paths, leaving destruction in their wake. I find great satisfaction in letting the other, competing colonies build up to overwhelming levels and then smashing them into oblivion. On a particularly bad day I can do this for hours. 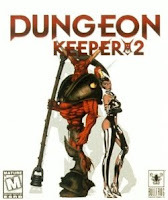 Another game that works when I'm in this kind of mood is Dungeon Keeper 2. In it, you are the evil Dungeon Keeper, ordering your minions to carve out new dungeons and sending them to fight the good guys. If your minions don't work hard enough, you can slap them around. You can slap the chickens, too. For some reason, game designers don't like chickens much. The humor in this game is dark, but very funny, and it's a great stress reliever. Tonight I just got a new game called Dungeons that looks like it might be a successor to Dungeon Keeper 2. I'm hoping it will be just as much fun and also work just as well as at relieving stress. I'll let you know. Sometimes it's just good to be bad. Are you planning on getting Diablo 3 when it comes out? I've never played the Diablo series. Are they any good? I wouldn't call Diablo the basis for all modern RPGs. Frankly, I found Diablo to be horribly boring. Oh look a bad guy clickclickclickclickclickclick okay he's dead next. Repeat. I haven't had a lot of gaming time recently, which is a little sad. I do love the Final Fantasy RPGs usually, but I haven't played any of the newer ones as of the past few years. If you enjoy Puzzle games, Portal is an interesting beast. It's a first-person shooter style perspective, but your gun opens up portals between two points in space. It results in some really fascinating and fun physics puzzles with a great story, and is only like 2-3 hours long. I love Portal 2, but I must be awfully slow because I could never get through it in only 2-3 hours. I wanted to like Final Fantasy, but the cut scenes were endless.